Encourage community management of river catchments by enabling decision making at a local level. 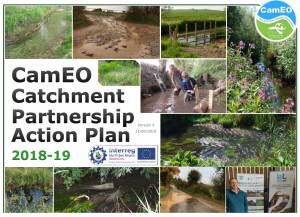 Communicate the benefits of community driven catchment management. Land use sectors contribute to, and benefit from, healthy ecosystems. Create, maintain and restore well-functioning, biodiverse and resilient ecosystems. Enhance the biodiversity of river ecosystems. Mitigate the impact of invasive non-native species (INNS). Promote biosecurity messages, including the Check Clean Dry and Be Plantwise campaigns. Improve strategic cooperation at the catchment scale in order to secure resources and enable delivery. Ensure enough water of sufficient quality to support consumption, irrigation and healthy ecosystems. Promote impartial water resource planning to safeguard environmental needs.